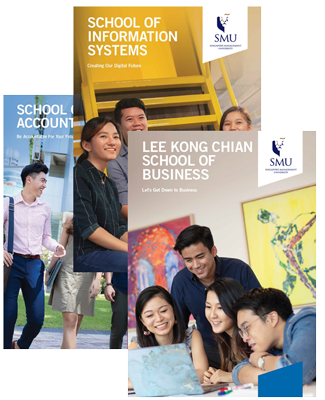 The SMU-Carnegie Mellon University Fast Track Programme allows SMU students to graduate within four to four and half years with both a Bachelor of Science (Information Systems) : Information Systems Major OR Bachelor of Science (Computer Science) : IT Solution Development degree from SMU and a Master's degree in IT from Carnegie Mellon University. 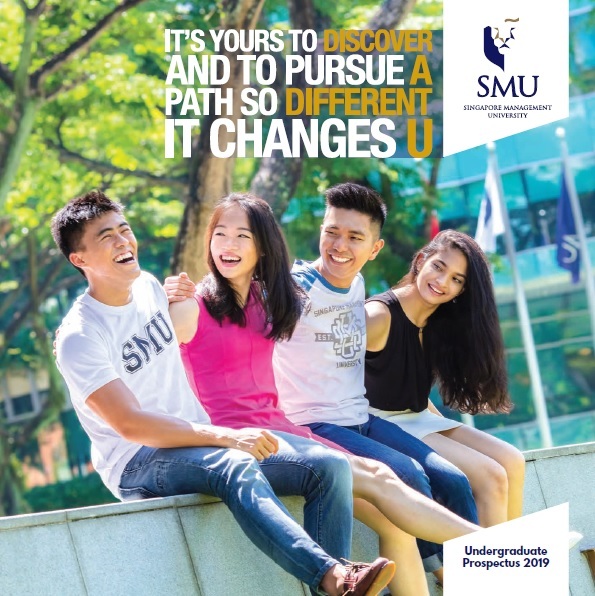 Students admitted to this programme begin with a solid foundation at SMU’s School of Information Systems and finish their studies at Carnegie Mellon University, an elite and world-renowned American university in the field of information technology. This fast track scholarship programme is offered primarily through the Singapore Digital (SG:D) Scholarship (Undergraduate) by Information Media Development Authority (IMDA), as part of the national strategy to develop talented professionals in the fast changing infocomm industry in Singapore. "When I was offered the scholarship, I was excited about the opportunity to experience life in the US, fast-track my studies, and start my career in an organisation I was interested in." Applications for the scholarship are made through Infocomm Media Development Authority (IDMA). 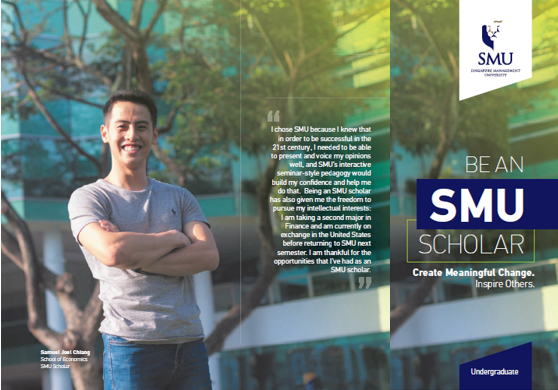 Applicants must also submit a separate application for admission to the SMU School of Information Systems. Click here for more details.